Meatless Mondays, reusable grocery bags, using public transportation — these are small steps toward an environmentally friendly lifestyle. But what if these measures weren’t so calculated? What if green features were simply built into your household, lowering your energy consumption and bills at the same time? At Minto Avalon Encore, they are. 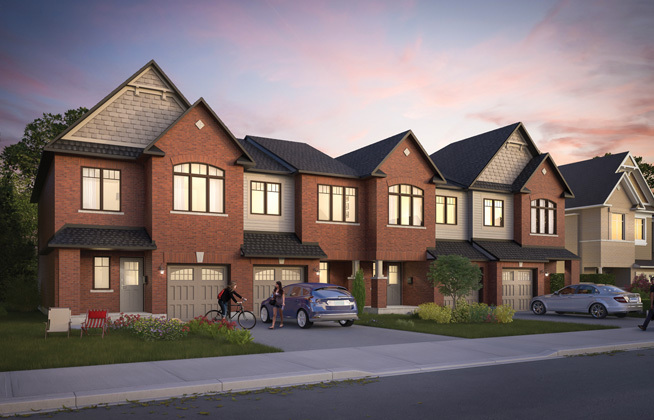 Located along Tenth Line Road in Orleans, less than 30 minutes from downtown Ottawa, is Minto’s latest master-planned community. 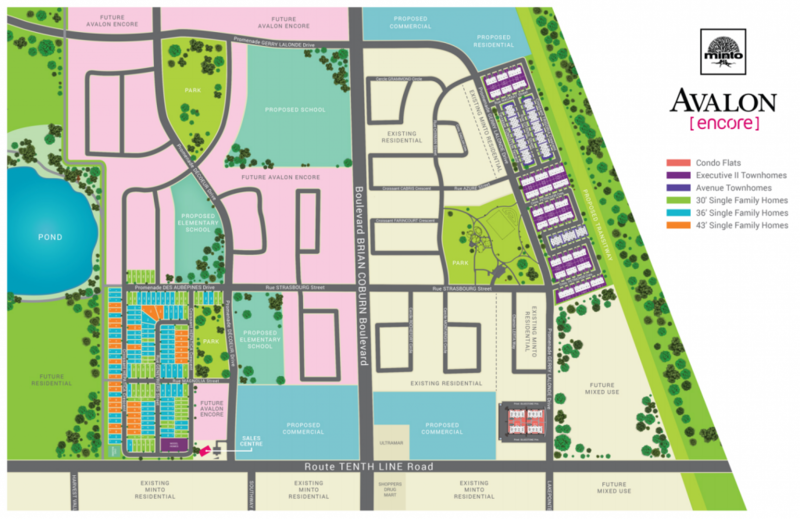 Single family homes, townhomes and condo flats are situated among scenic parks, paths, playgrounds and ponds. 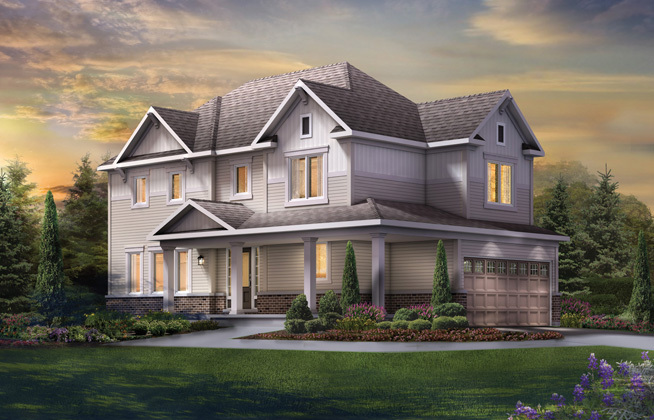 Detached homes on 30, 36 and 43 foot lots are available in twenty unique floorplans. Ranging in size from 1,441 to 3,242 square feet, the homes boast superior features such as triple pane ENERGY STAR® windows, high efficiency gas furnaces, low-flow fixtures and toilets, LED exterior lighting and Green Label carpets that reduce VOCs and other indoor pollutants. Single family homes include one to four bedrooms and are priced from $336,900 to $543,900. Buyers can take advantage of $5,000 to $10,000 in design centre bonuses. 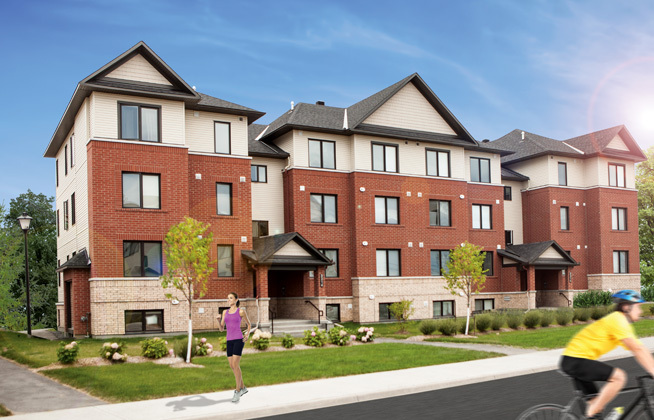 Two, multi-storey townhome collections are also being offered at Minto Avalon Encore. Avenue Townhomes feature two to three bedrooms and are priced from just $245,900. Executive II Townhomes are slightly larger, with up to four bedrooms. These brick façade townes start at $291,900. With enhanced basement insulation, energy monitors and high efficiency tankless water heaters, the units will be both cozy and cost-effective. Townhome owners may choose from $3,000 to $5,000 cash off or to spend that money in design centre bonuses with the addition of three stainless steel appliances. Open-concept condo flats are featured in two models — Alto II and Brio II. Both are one level, two bedroom units with sizable decks for outdoor entertaining. Alto II is priced from $199,900 and covers 1,038 square feet. Brio II, on the market for $209,900, is a bit more spacious with 1,095 square feet. Receive $2,500 to $5,000 in design centre bonuses as well as three stainless steel appliances. The community is in close proximity to schools, parks, restaurants, grocery stores and big box retailers. It’s easy to connect to the Queensway or hop on OC Transpo. Minto Avalon Encore is now in its selling phase and well under construction. Prospective buyers are encouraged to visit the sales centre at 204 Monaco Place in Orleans from Monday to Thursday, noon to 8pm or on weekends from noon to 5:30 pm. For more information, please call 613 834 6400 or email Avalonsales@minto.com.